This week it’s the turn of Lee Ashton, founder and managing director of Cheshire-based brand communications agency, Bugler Smith. Being able to contribute by doing this week’s The Wrap is rather nice - not only does it mean I get to review some of the great things happening in the community around us, but it also means I’ve taken a bit of time to reflect on our week too, which sometimes just ends in a blur and fades into the weekend before starting like a Bonfire Night fireworks display all over again on Monday! Here at Bugler Smith, we are now fully in to spring 2017 planning phase with several clients (which means mentally we skip nicely past winter before it’s fully embraced us). We’ve also just been nominated for three national awards - it’s great to see the hard work put in by the entire team getting recognition. To celebrate, Gill (our accountant) made some cracking scones! Nice work Gill. It’s been a pretty busy week for the film and TV industries, with Pinewood Studios sold to PW Real Estate, netting major shareholder and local business Peel Group a cool £126m! But then, on a less cheery note, we see ITV closing down its Northern drama hub, as well as planning 120 job losses in the wake of the EU referendum. I can only assume ITV aren’t holding out much hope for a post-Brexit Britain. There are, however, plenty of positive stories for the region. These are the stories I enjoy reading as I think they give a unique snapshot into the general regional trends, and are a good reference point for judging the mood of marketers and consumers. 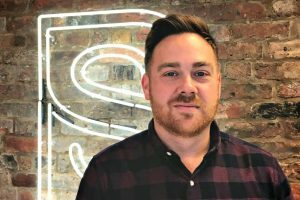 Cheadle-based online holiday firm On The Beach has successfully increased revenue by 12% to £70m, Altrincham-based Rumpus PR has been appointed by The Fragrance Shop to look at activity in key trading periods, and Leeds-based BRAWL has been hired by an Israeli-based lottery firm to create an SEO and content strategy. Finally, it was great to read about Manchester’s Digital Bridge being named Partners' Choice for the John Lewis accelerator programme. This is a fantastic initiative by John Lewis, to find those start-up companies that have something really special or unique that can help change or shape the retail space (kind of what real entrepreneurialism is all about). I know other companies that have applied to be part of this in the past to no avail, so it's really good to see a Northern start-up being selected and granted the £100k prize. As for the reason they were chosen, well, that’s pretty obvious if you’ve ever visited their website. It’s a very clear sign of where our online shopping experience is taking us - virtual fitting rooms are only a matter of time... unless they're already here and I’ve just missed them!